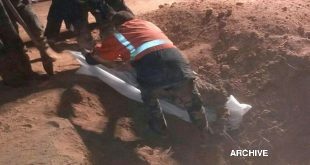 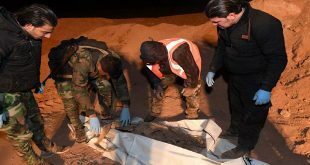 Deir Ezzor, SANA – The authorities found seven mass graves containing hundreds of unidentified bodies in al-Bukamal area in the countryside of Deir Ezzor province. 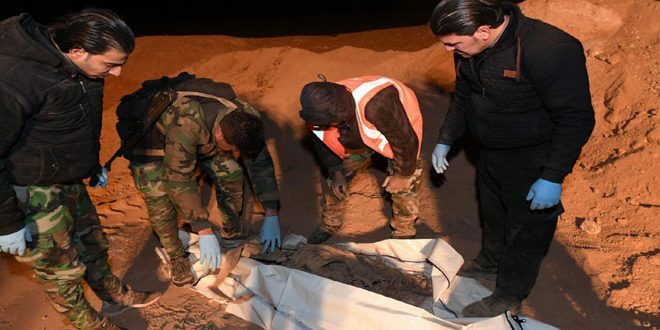 SANA reporter in Deir Ezzor said that during combing operations in the western countryside of al-Bukamal, authorities found seven mass graves containing hundreds of bodies belonging to unidentified persons who had been killed by Daesh (ISIS) terrorists when they were controlling that area. 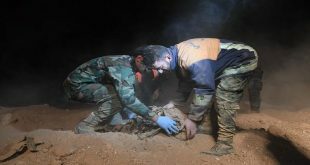 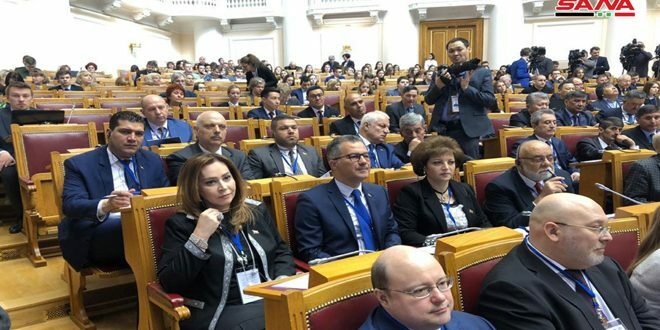 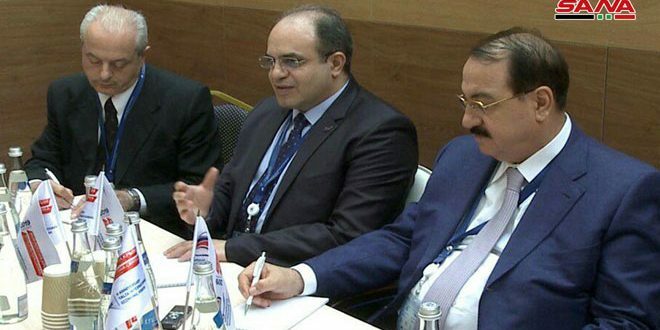 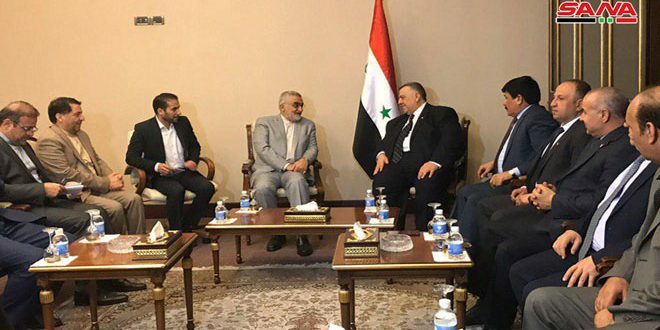 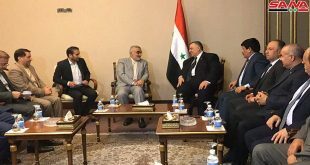 The reporter added that teams of Civil Defense and Syrian Arab Red Crescent have recovered 101 bodies, many of which appear to have been tortured and abused before being killed, clarifying that work is underway to retrieve more bodies.